This white ’62 Pontiac Grand Prix was at the Old Marais River Run in Ottawa this year. I assume that it had been restored, but they did a damn good job on it. This was the first year for the Grand Prix, and they were a big deal in their day. They were like a smaller Catalina, gussied up to be like a big, fancy Bonneville. They had a bit of a European vibe with a clean design and minimal chrome, but the interiors were spectacular. The chrome-trimmed bucket seats and clear steering wheel, floor console and center tach made it pretty special in there. 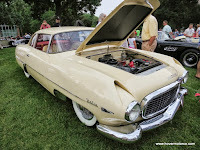 This one also had power brakes, factory air, and Pontiac’s lovely eight-lug cast aluminum wheels. Hyman Classic Cars in St. Louis brought this exotic ’54 Hudson Italia to the Art of the Car Concours Show at the Kansas City Art Institute this summer. They only built 50 of these, so they are certainly a rare sight today. They were all painted in “Italian Cream”, which is an off-white hue with red-and-white leather. These were a heavily modified Hudson Super Jet fitted with a hand-built sports car body crafted by Carrozzeria Touring in Italy. At the time, the window sticker was $4,350, which was about $500 more than a Cadillac Deville. The exhaust port-inspired chrome taillight housings were a cool and unusual touch. This ’69 Camaro Z/28 RS was a common sight at car shows all over town this year. 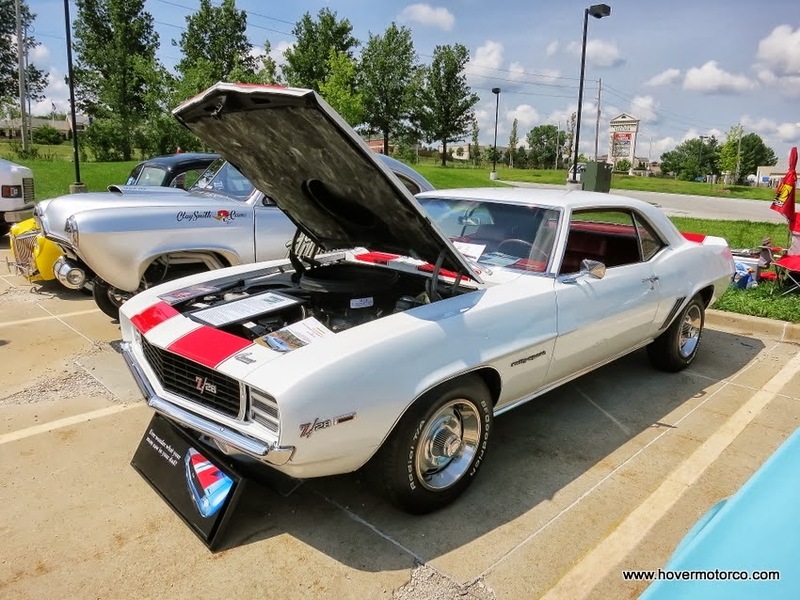 I took this picture at the JDRF show at Advance Auto Parts in Shawnee in July. You see a lot of white and orange ’69 Camaro pace cars, so this white and red combo is sort of jarring in a good way. The Z/28 was designed to be the best-handling Camaro you could buy, foregoing the huge big-block power plants for a potent but not over-potent 302 small block. These were tough competitors on the Trans Am circuit back when they were new, but the road-going versions were also popular with performance-oriented buyers. 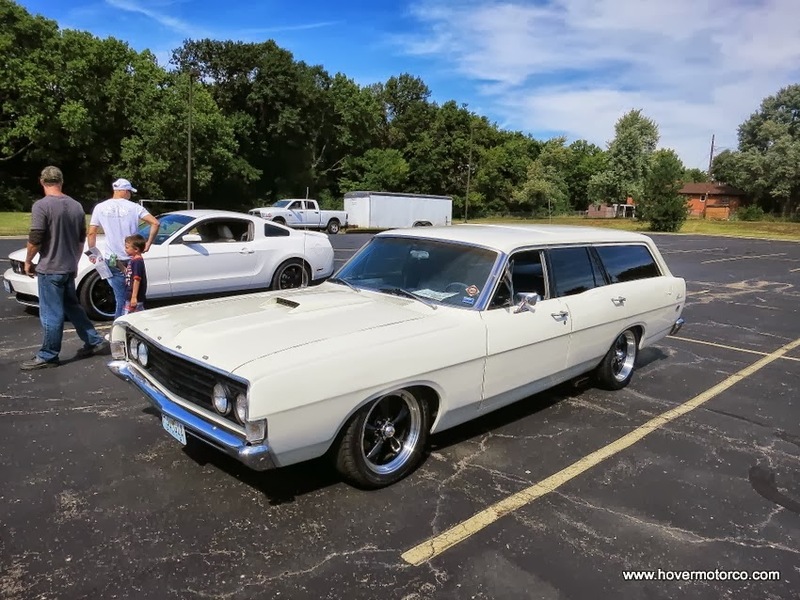 You might not think of a ’69 Ford Fairlane station wagon when you’re coming up with a list of cool cars, but then you see one like this and your list needs to be changed. This is what Frank Bullit would drive if he had two kids and a wife. This car works because of its simplicity. The stark white paint contrasts with the tinted windows and blacked-out trim, and the lowered stance with those black Torque Thrust-style wheels all fits perfectly. This is one of those cars that wouldn’t sound too fantastic if you described it to somebody, but once you see it, you get it. 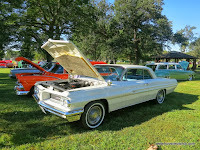 I took this at the Gladfest Car Show in September. 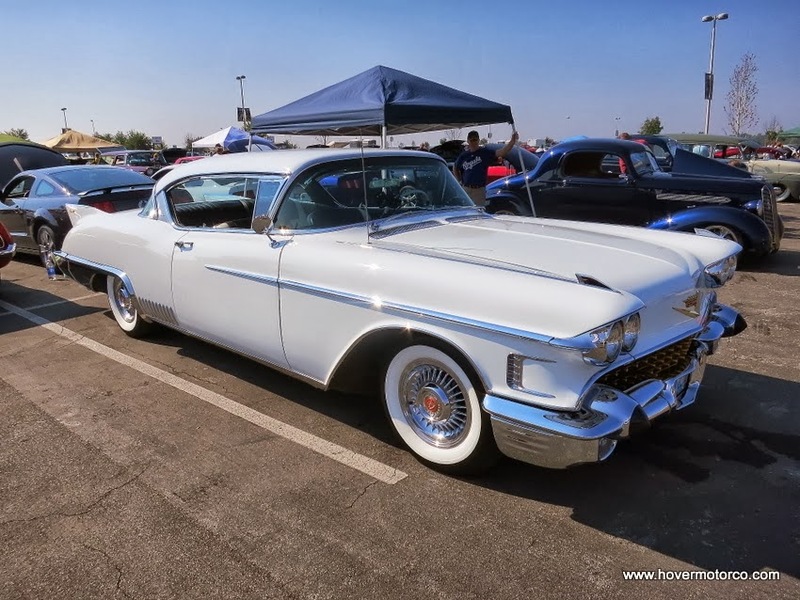 If you want to see an impressive car, look no further than this ’58 Cadillac Eldorado Seville. I saw it a few times during the latter part of the season, including the Cruise to the K Car Show at Kauffman Stadium where I took this picture. Just look at how pretty this car is. And you know, they only built 855 of them, so you won’t see very many. These had 365 cubes under the hood with not one, not two, but three two-barrel carburetors, and a whopping 335-hp. 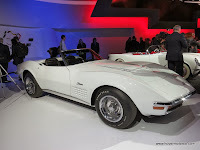 This was a special car when it was new, and it is still a very special car today. 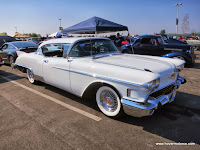 The slideshow below has some 500 photos of white cars that I took at car shows and museums over the past few years. Or, click this link for a nicer version. The 69 Fairlane Wagon was in Car Craft about 6 months ago in the Reader's Ride Section. You know, now that you mention it, I do remember seeing it in there! That '69 Fairlane Wagon is awesome. It does seem like your type of car, Russ!